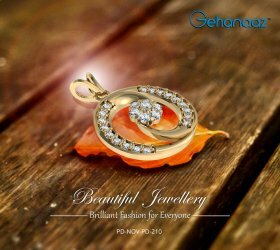 Gehanaaz, the Jewellery Manufacturer offers highest quality Designer Gold Jewellery, Gold Stone Jewellery, Gold Rings & Gold Pendants Online. Buy Gold Stone Jewellery Online through Gehanaaz, a top gold jewellery online store. Get Best Priced gold jewellery online and avail exciting offers We offer wide range of fashion jewellery to our customers. Browse all Designer Gold Pendants at Gehanaaz and buy Designer Gold Pendants at best price. Get your Gold Stone Pendant, now! For more Details you can visit us at httpwww.gehanaaz.com and for any other enquiry you can write us at info@gehanaaz.com .